Oftentimes a racer’s most fierce opponent is himself. The immense amount of pressure that comes with success and sustaining it can be overpowering. 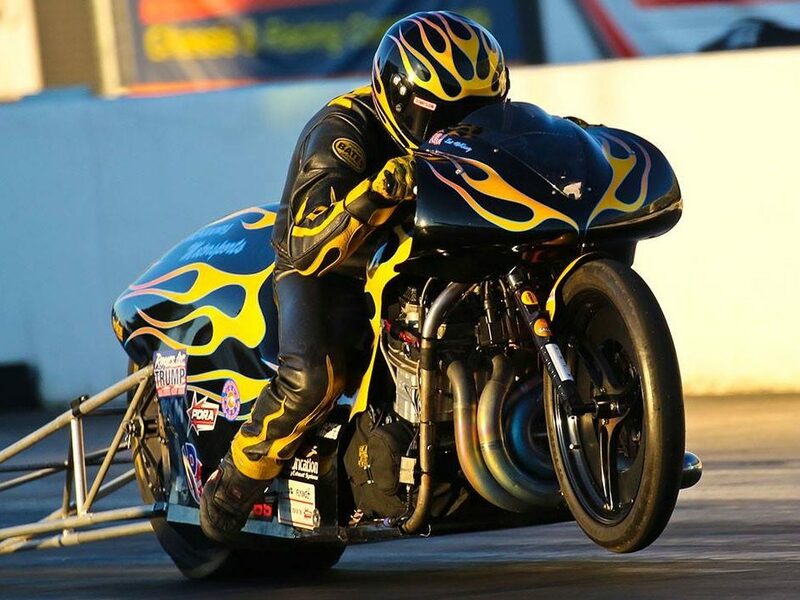 Pro Extreme Motorcycle standout racer Eric McKinney knows the feeling all too well after watching his beloved motorcycle burn, while in the thick of a championship hunt last October. 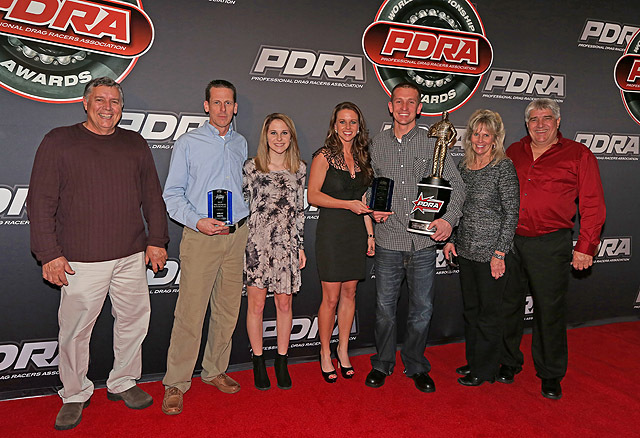 The Ohio-based rider was unseated for the PDRA crown by a narrow margin in what was a hotly-contested and increasingly competitive year for the class. The aftermath of the Hunstville fire. 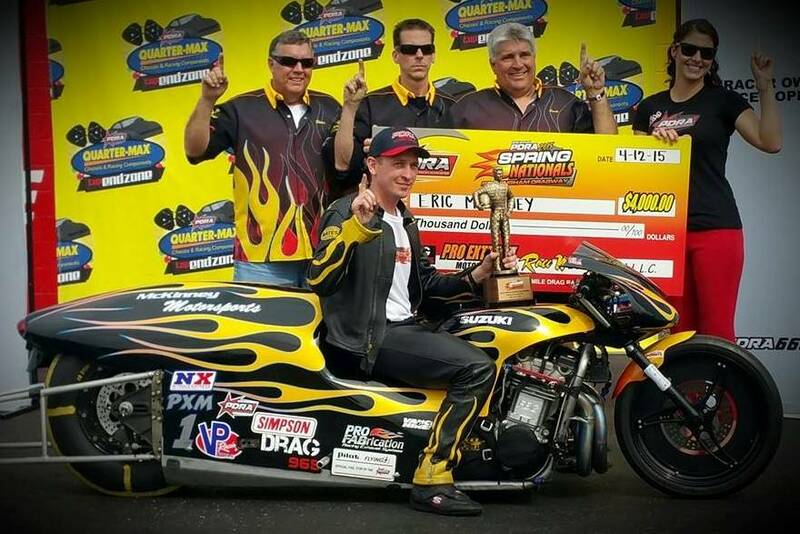 The untimely fire to his motorcycle helped snap one of the most impressive streaks in all of motorcycle drag racing – McKinney’s five consecutive PDRA championship titles. A string of dominance for the ages can make it difficult to relax. There is a cliché in sports that it’s easier to win a championship than defend it. Racers, mixed martial arts fighters, football players and serval others often talk about the intense pressure associated with defending a championship. Climbing the mountain can be easier than staying on top of it when everyone else wants the same spot. The champion becomes a target for the field each time out. Expectations grow and it’s more difficult to be satisfied with a runner-up. The tension can be immense. McKinney is relishing an opportunity to look at the sport he loves with a fresh, laid back perspective. He knows it will ultimately lead him back to where he wants to be. The class has changed greatly in the past six seasons and so has McKinney. It’s a time when racing needs to be a stress reliever, not a stress causer. 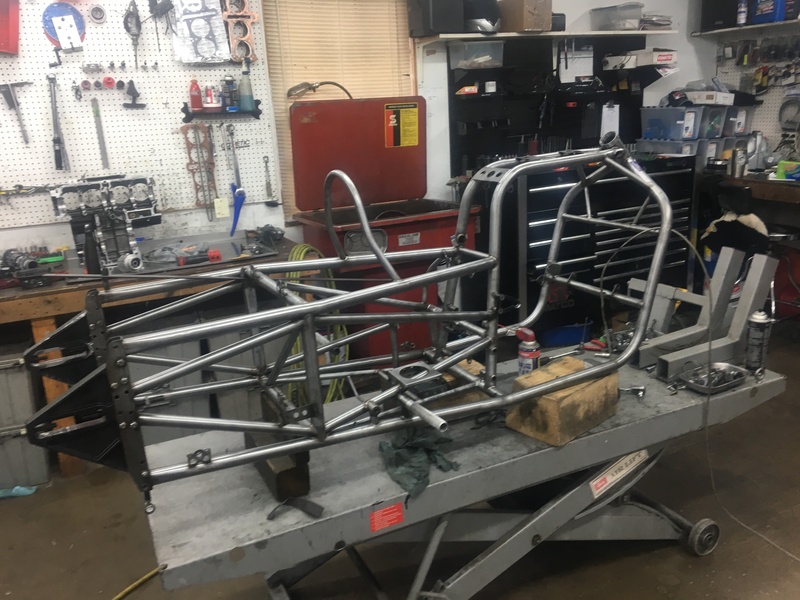 Now 32-years-old, McKinney is expecting his first child this summer and continues to become a more vital part of his family’s used auto parts business, D&S Auto Parts in Hamersville, Ohio. D and S Auto Parts in Hamersville, Ohio. 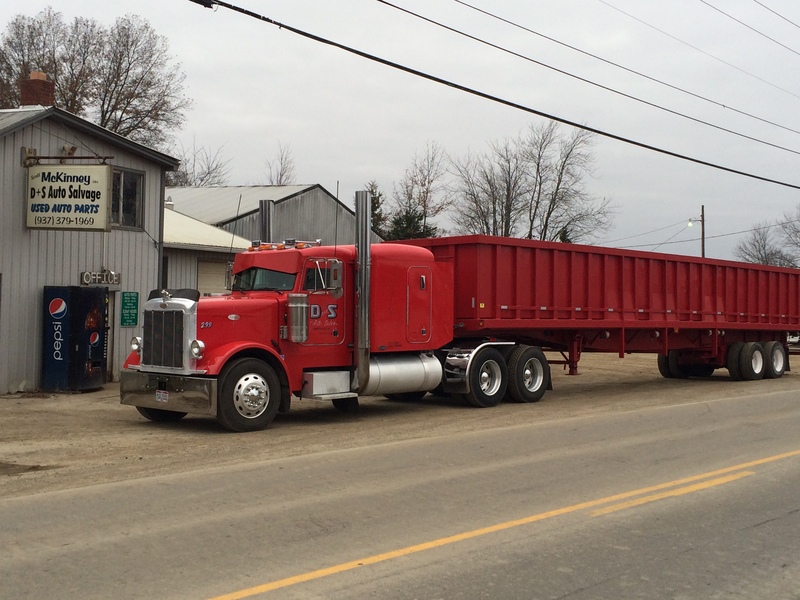 McKinney’s grandfather started the operation in 1962. Through hard work from three generations, with Eric’s father Scott guiding the company for the past serval decades, D&S Auto Sales has grown considerably. Eric McKinney with his father Scott and his grandfather. 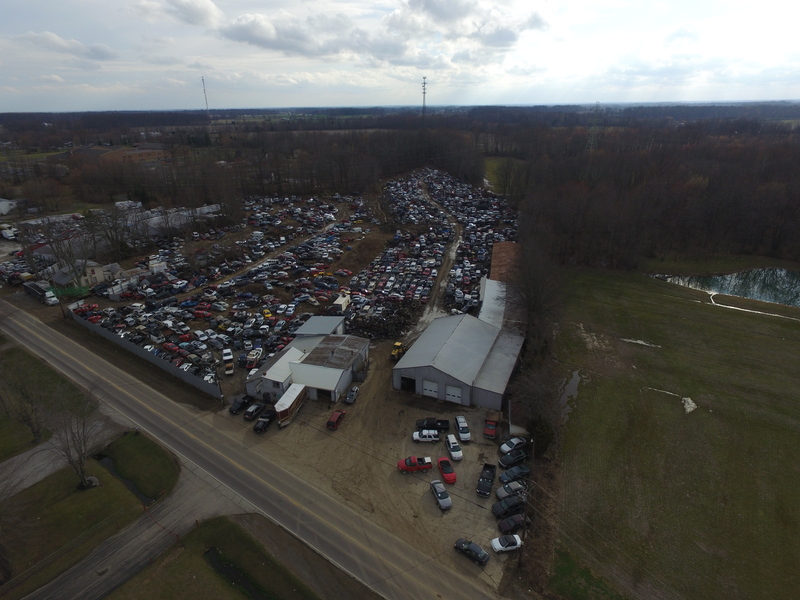 Today D&S Auto Sales owns more than 3,500 cars and trucks and on average buys about 35 a week from insurance companies. The inventory consists of about 95 percent domestic autos. 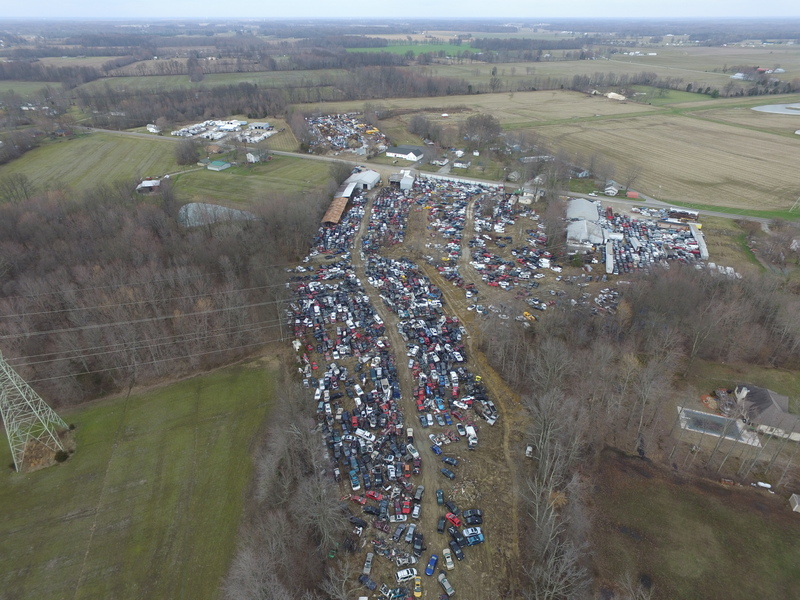 McKinney says the phone always seems to be ringing in the office and his team will disassemble and sell parts, even complete engines, as needed. That’s just a fraction of the workload. 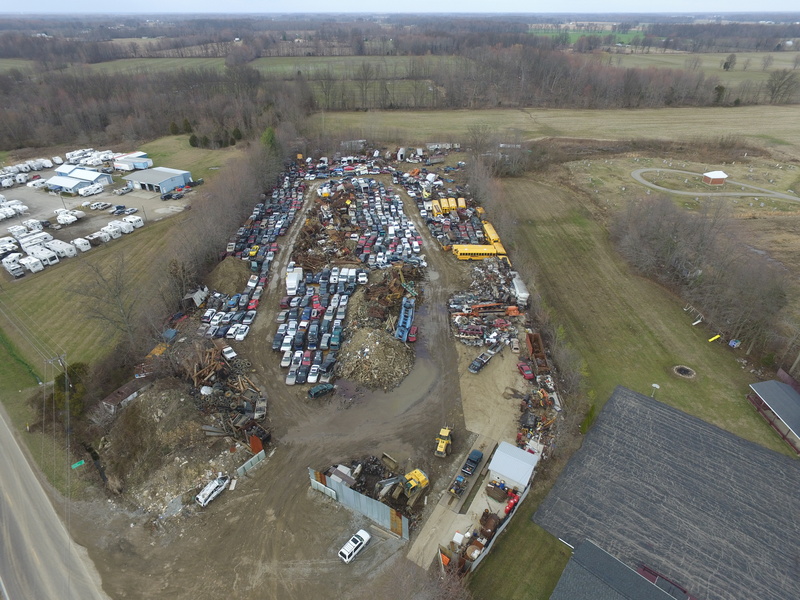 McKinney says he’s in a heavy duty truck every morning at 6 a.m. to take a hefty freight of scrap to the yard. He’s taken in more than 750-tons in the past month alone. 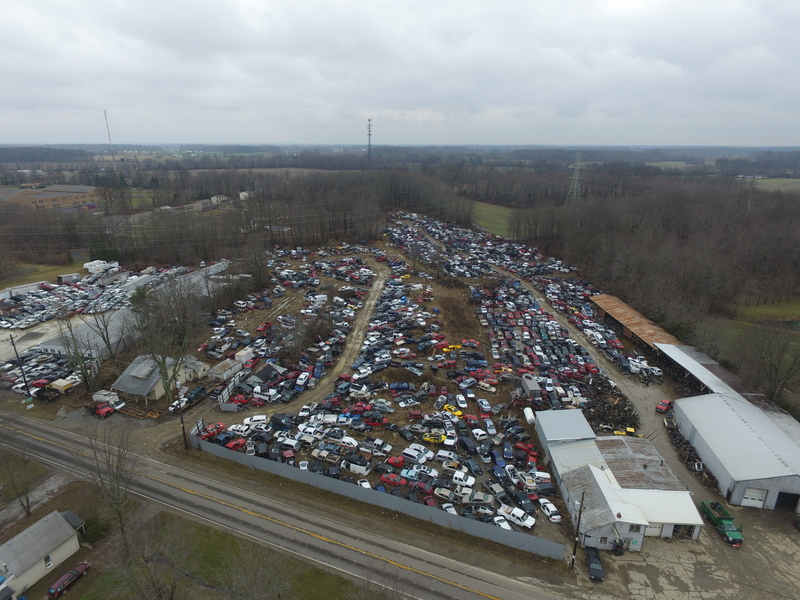 Eric McKinney starts his day at D and S Auto Parts by taking a load of scrap to a scrap yard. McKinney feels his role in the family business changing. For someone as competitive as the young racer, pressure to succeed in business is just as intense as it is at the track. During race season the pace can be exhausting. McKinney recalls working late into the night on the motorcycle on a regular basis. It was time for a breather. 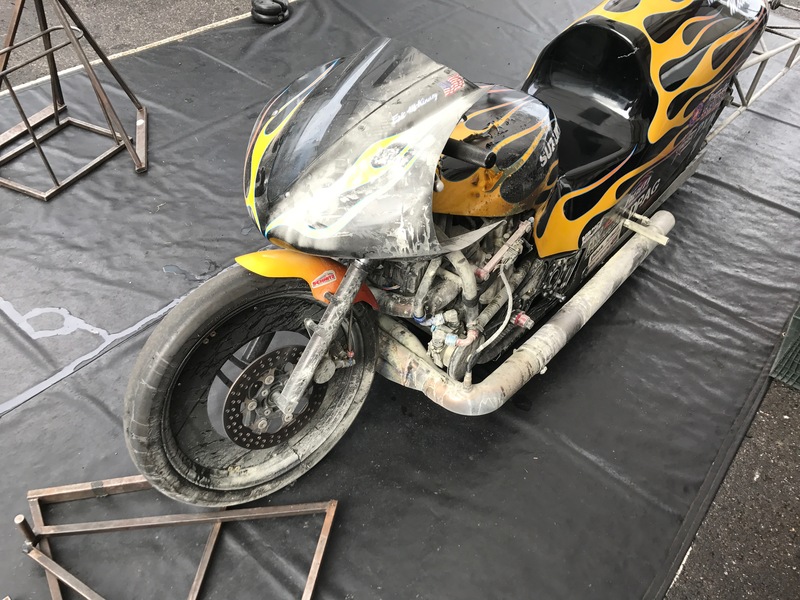 McKinney says the bikes were pushed into a corner and have not been touched since the last ManCup race in Valdosta this past November. McKinney says it’s been an enjoyable and much-needed break, but certainly not the end. Owens, McKinney’s tuner, builder and teammate, is someone who McKinney says is largely responsible for the team’s tremendous success. He is also the one who helped get McKinney back on track after suffering the devastating fire last October at T.T. Jones’ race in Huntsville, Ala. While in a heated battle for the PDRA No. 1 plate, McKinney had to watch helplessly as his motorcycle burned. McKinney says the crank started separating; it mixed up the cylinder timing and backfired through the carburetors. McKinney looks back at this moment as the lowest point of his racing career. After a season of painstaking labor to stay in the hunt, McKinney watched as the motorcycle he poured much of his life into went up in flames. Looking back McKinney realizes how lucky he was that he was not injured during the incident and calls the entire situation very humbling. Owens went to work on the bike, stripped it down and replaced all the wiring. 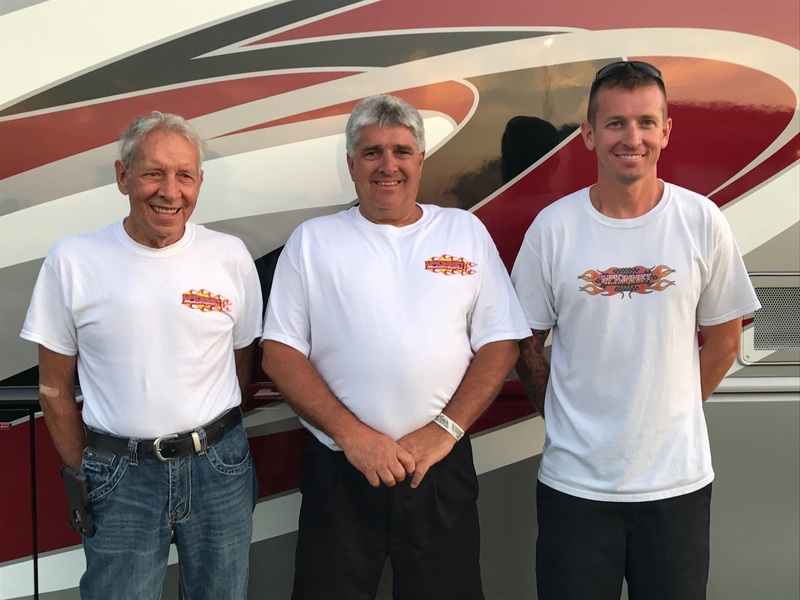 Amazingly the team was able to make it to the final PDRA race a couple weeks later in Virginia, where it ultimately fell a mere 102 points short of a sixth-straight title. The break from the rigors of championship-defending has done wonders for McKinney’s outlook. He can’t wait for the season to start and is looking forward to having fun again. McKinney says winning a championship is not something he’s even thinking about right now. McKinney has been as quick as 3.98 in his career, running a few 3.99s last season. The six-time champ hopes to lower his career best to a 3.96 or 3.95 by season’s end. 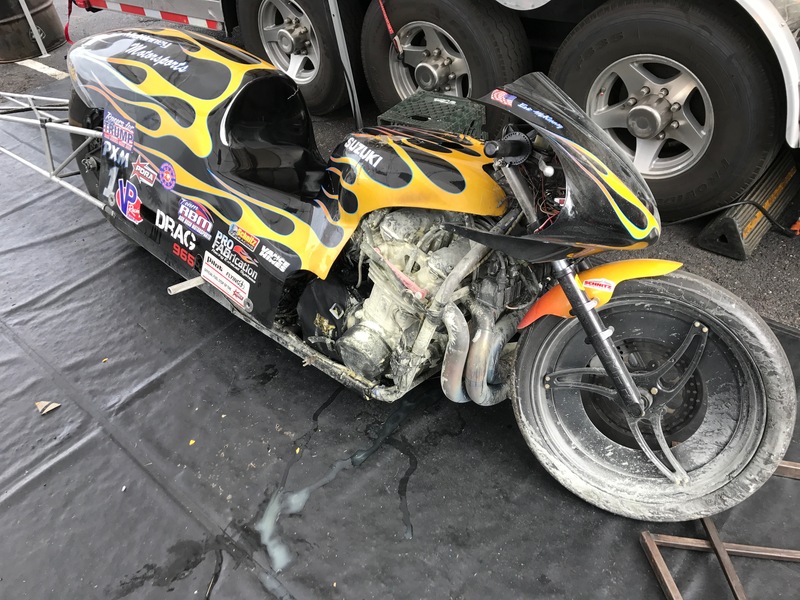 McKinney’s fresh start will be on a brand new motorcycle as he says he is contemplating hanging his old bike on the wall as a fire-scarred trophy. McKinney says the new bike will feature one of the last PMFR chassis ever made. Veteran racer GT Tonglet helped test the bike at the ManCup Finals and Owens has already been as quick as 4.07 with it. McKinney is also counting on his arsenal of three fast Vance & Hines 1740 c.c. and 1810 c.c. motors to come through for him. It still amazes him how each one seems to have its own personality. McKinney says it’s hard to predict what will happen when pushing the limits. McKinney expects one big change to his program over the off-season. 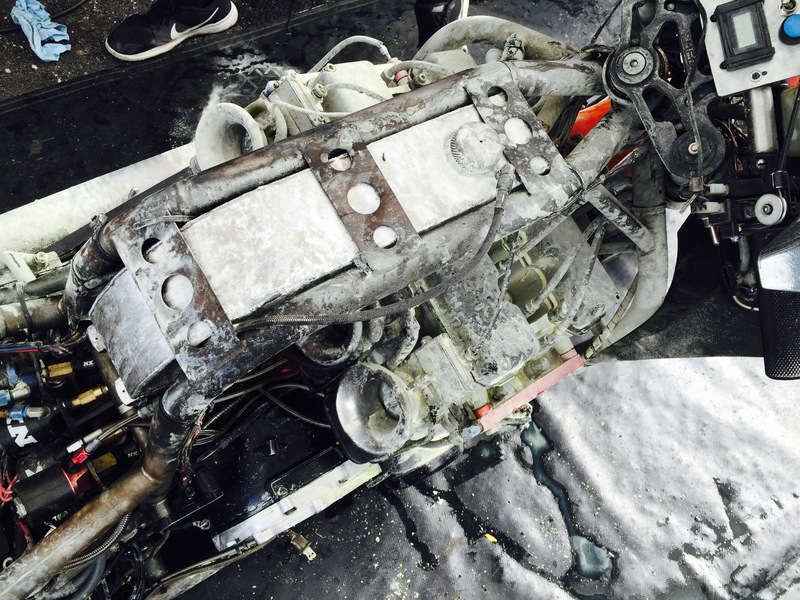 “Everyone has dual stage nitrous and I think that’s how we will go,” McKinney said. 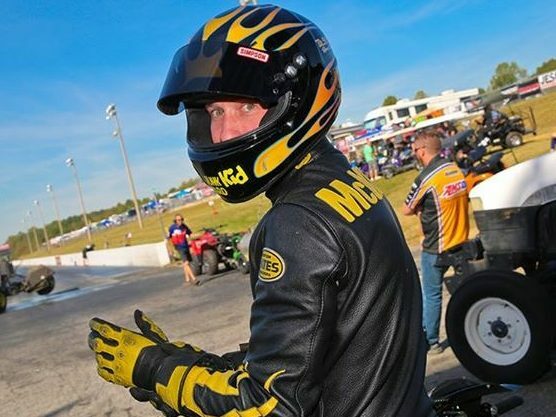 For now, with personal life and business so demanding, McKinney is happy to see he’s got plenty of races close to home with PDRA coming to Columbus and ManCup coming to Dragway 42. 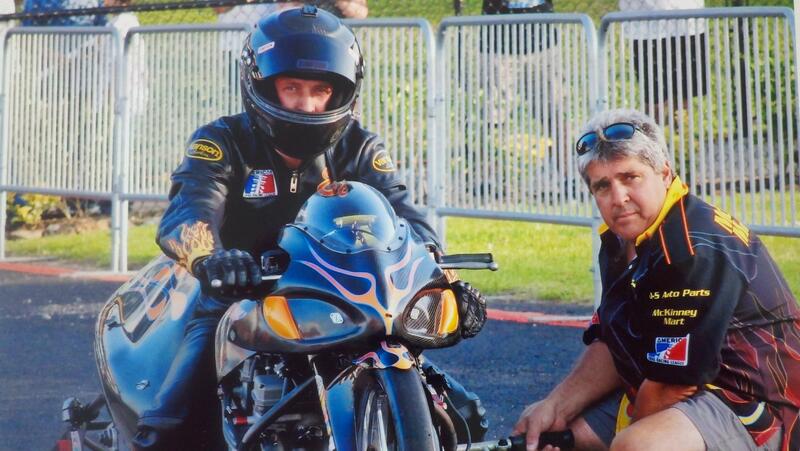 In the future McKinney says he’s even thinking of dabbling in NHRA Pro Stock Motorcycle. 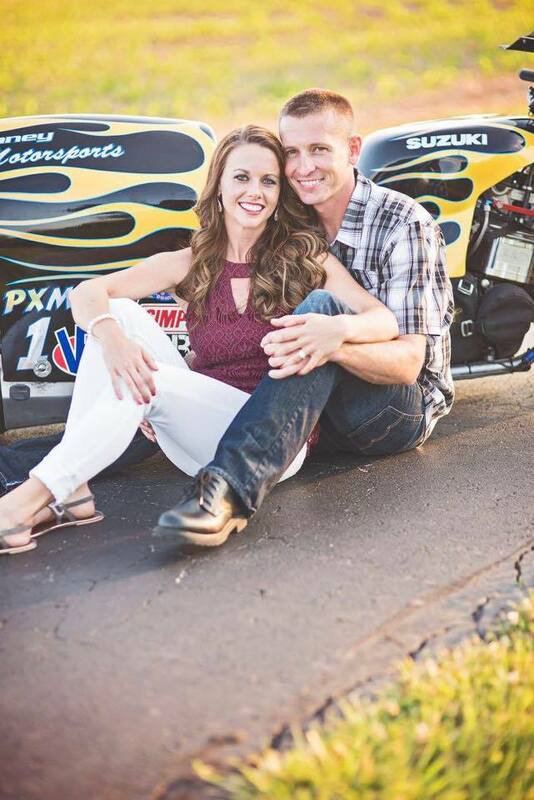 He owns Anne Hansen’s former Suzuki, equipped with a Vance & Hines motor. But for McKinney his priorities are to remain focused on his business and his family. If a championship comes; great. His most important event this year will be the birth of his child. Whether he has a boy or girl, McKinney knows one thing will be unescapable for the child, just like it is for him. “It will be a racer either way,” laughed McKinney. A racer who will one day have to balance family, business and the desire to succeed just like McKinney is doing now. Make sure to call McKinney’s D&S Auto Parts at 937 – 379 – 1969 for great deals on anything you need for your car or truck.